Some weeks are more inspirational than other, and some weeks there is just that ONE THING in my mind that I can't stop thinking about - and weirdly for me, this week it was pink. 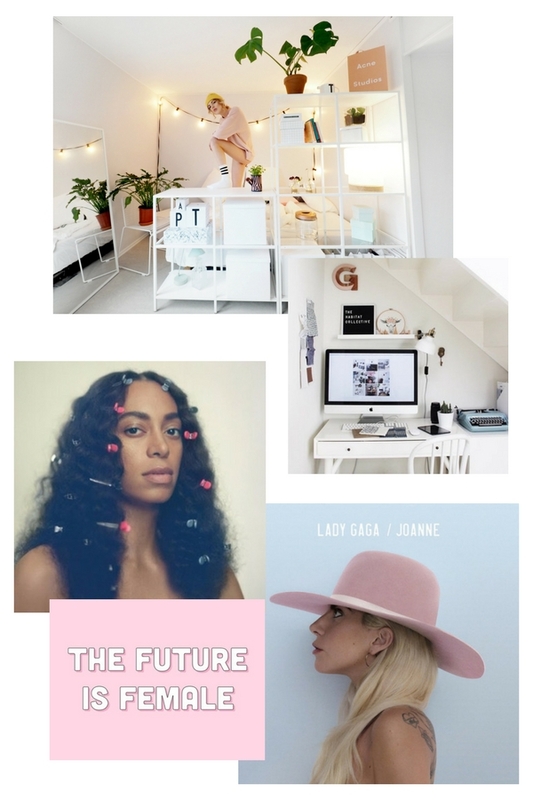 I'm not a pinky girly girl, I don't think I ever have been but I'm in love with a pale blush pink lately and I can't stop tumblr-ing things that remind me of it! Is it Valentines day apprehension maybe?! And pink mesh especially has been doing it for me lately - The two dresses above are from New Look and I actually bought the smock kind of one, and now I'm lusting over the negligee! Maria Grazia Chiuri's Dior couture show was - LITERALLY - a thing of dreams. The princess dresses, the astrological theme, the head swag; it was all too much for a girl like me. 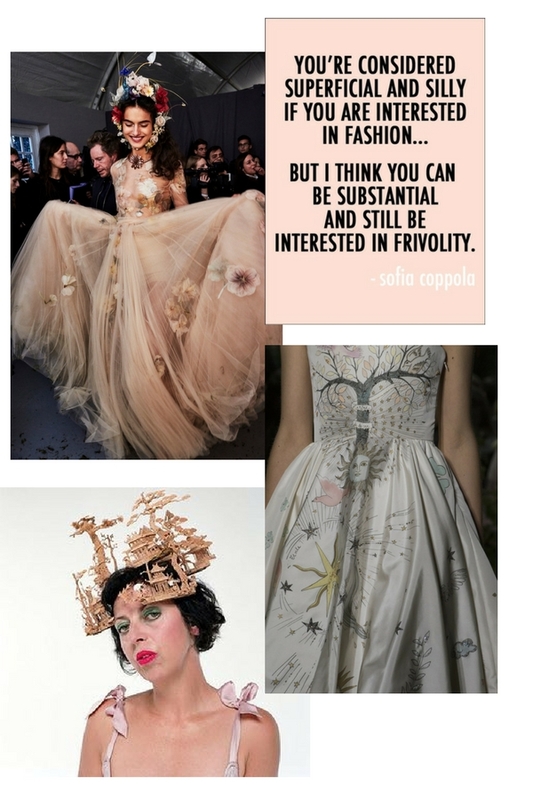 We had a guest speaker in college last week in the form of Chloe Beeney, stylist extraordinaire and former assistant to none other than the inimitable Isabella Blow. I swear, this class is the most inspiring thing in my entire week, and just gets me SO EXCITED about fashion. As usual, I'm obsessed with interiors and Ebba Zingmarks new apartment is giving me all the tiny studio apartment goals! Plus she is just general life goals. I've had Lemonade, Life of Pablo, Joanne and A Seat at the Table on repeat for the last month and I am obsessed. I love the new direction that Lady Gaga took in this album! Trumps Muslim ban is just another of the headf*ck things that is going on in our world today. I don't even have the words to talk about it - I just keep thinking, how can anyone agree with this? And how can those who DO agree think this is a normal thing? They say everything comes full circle and life is cyclical, and it seems like we're reverting to that one time in the 30's/40's when that one guy in power did a lot of bad things. Oh yeah, and Beyoncé is pregnant again. 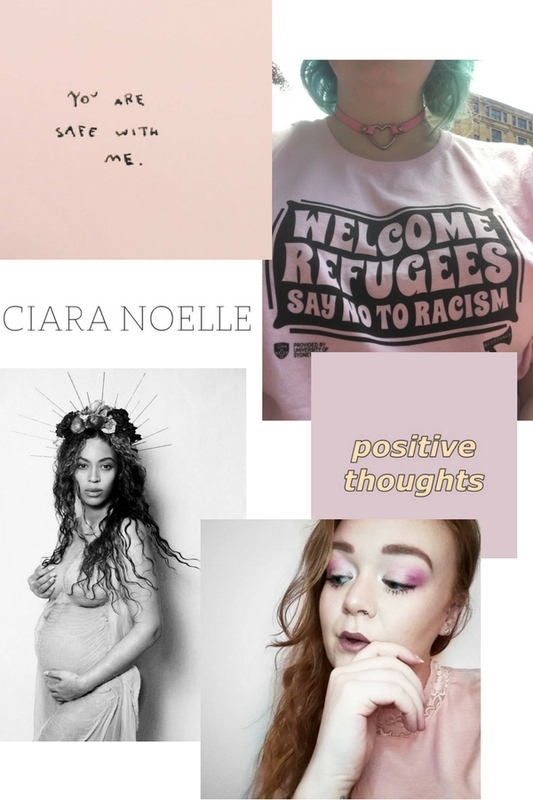 Let me know if you like this little inspo/mood board/collage/brain fart kind of post, I really enjoyed making this and sharing a little bit of whats been in my brain the past week or so! All photos from tumblr excluding the New Look and my own photos!